SET OF 25 RAINBOW PEEPHOLES: 13,500 Line/Inch Diffraction Grating – 1 11/16″ Diameter, 1/2″ Window – Heavy Carboard. Fun with Diffraction Gratings!! Great in the classroom when a quality diffraction grating is needed for the study of Light and Color. Just look through your Rainbow Peephole at any light source…the rainbow starbursts will amaze you! 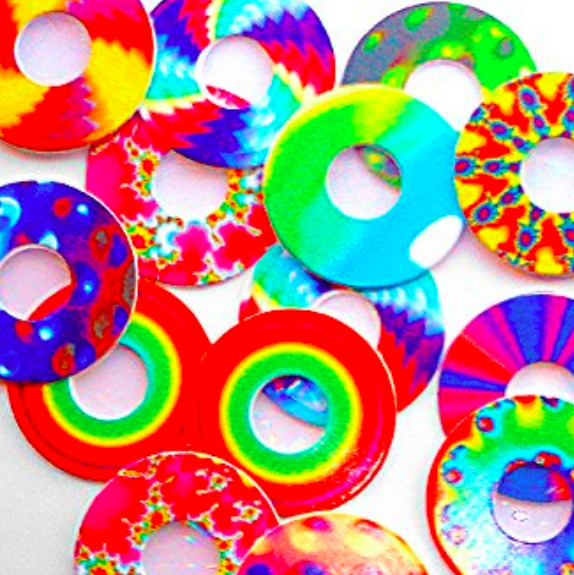 The Rainbow Symphony Store has all sorts of products for exploring color.